Extra baggage, small pets - now early boarding. Southwest is hitting up customers one dollar at a time. If you're willing to spend a little money, you can get to the front of the line -- and a choice seat on a Southwest flight. Southwest Airlines announced Tuesday that it is creating a new group of boarders who pay for the right to board before the commonfolk. These early boarders pay $10 each way to reserve a boarding position prior to general check-in. They board after the elite-status frequent flyers and ahead of families with young children. Because Southwest does not have assigned seating, early boarders should get to pick any available seat in the plane. Check out seatexpert.com or seatguru.com -- which tell you the pros and cons of each seat on every flight -- to find the perfect seat. Southwest officials say that by paying the extra $10, you'll probably be among the first 30 people to board -- the "A" group -- although they won't promise it. The new feature can be bought 25 hours before the scheduled departure time and will start Wednesday for travel beginning Thursday. This offering comes after Southwest introduced new fees for minors traveling alone and for bringing a small pet on board. Southwest still doesn't charge to check the first two bags, but experts and regular passengers are starting to wonder if that's next. Southwest, like other airlines, is desperately looking for revenue to offset a slump in traffic, especially among business travelers who usually pay higher fares for last-minute or refundable tickets. The Dallas-based discount airline lost $37 million in the first six months of this year, and analysts expect that 2009 will be its first unprofitable year since the early 1970s. 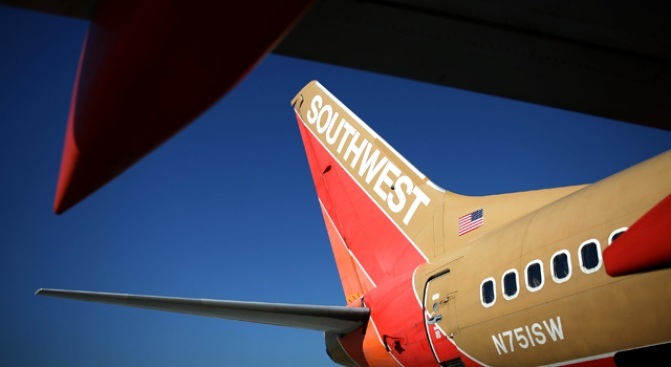 Southwest is considering other amenities with charges, including in-flight Internet service. The airline believes the early check-in charge can raise about $75 million a year, on par with Business Select tickets, which cost more but come with extras such as early boarding and a free drink. "We'd be thrilled if it became in the hundreds of millions," Krone said. Bob McAdoo, an analyst for Avondale Partners, is more bullish. He believes the boarding charge could raise $250 million -- enough to make Southwest profitable this year. McAdoo estimates that one-fourth of Southwest passengers could pay the check-in fee. Southwest declined to give an estimate. Southwest travelers who don't want to fork over the $10, will still be able to go to the company's Web site precisely 24 hours before scheduled departure to try and make the A group.